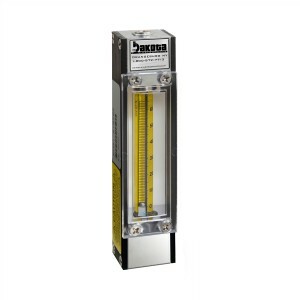 Dakota Instruments' Encased Glass Flow Meters exemplify traditional variable area precision glass technology of classical rotameters. 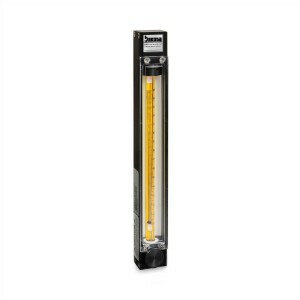 Rib-guided or fluted glass flow tubes are available for low, medium, and high flow capacities. Shipped completely assembled, rugged frames are 316 stainless steel, brass, aluminum, or PFA coated. A thick protective front shield and back plate, and optional built-in control valve for most models allow a wide range of applications. 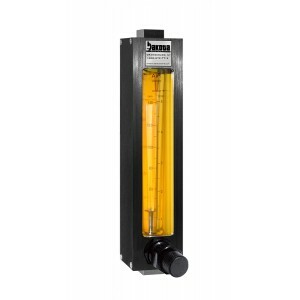 Units are particularly suitable for indicating and controlling gases in manufacturing processes, metering carrier gases, and liquid and gas measurement in level indicating, laboratories, and pilot plants. These rugged 65mm PTFE-Glass Flow Meters offer solutions to low to medium flow range measurements of highly corrosive or ultra-pure liquids and gases. Wetted inert components are surrounded by structurally rigid anodized aluminum. The resultant design represents a unique combination of a rugged mechanically rigid frame and chemically inert wetted parts. 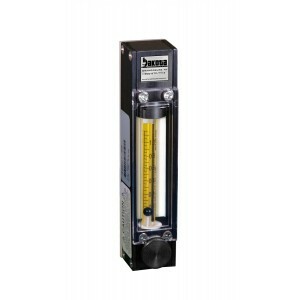 This rotameter comes with an MFV® High Precision Valve for high sensitivity control and resolution. 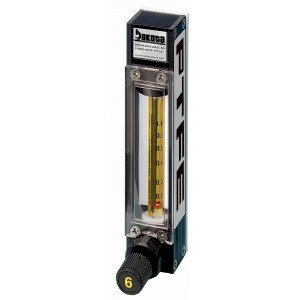 These rugged 65mm PTFE-Glass Flow Meters offer solutions to low to medium flow range measurements of highly corrosive or ultra-pure liquids and gases. Wetted inert components are surrounded by structurally rigid anodized aluminum. The resultant design represents a unique combination of a rugged mechanically rigid frame and chemically inert wetted parts. No Valve. 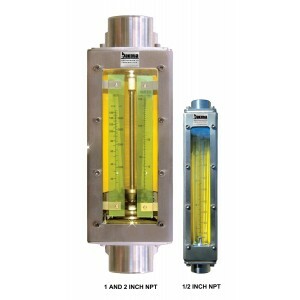 Incorporating traditional variable area precision glass technology, these rugged PTFE in-line flow meters offer accurate and economical solutions to medium flow range measurements. 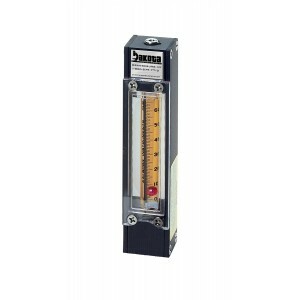 These meters are designed with unique rotatable scales of dual air-water direct reading graduations showing SCFM and SLPM (air), as well as GPM and LPM (water) markings. No Valve. 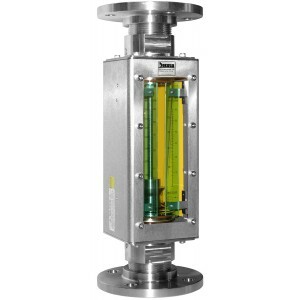 These rugged 150mm PTFE-Glass Flow Meters offer solutions to low to medium flow range measurements of highly corrosive or ultra-pure liquids and gases. Wetted inert components are surrounded by structurally rigid anodized aluminum. The resultant design represents a unique combination of a rugged mechanically rigid frame and chemically inert wetted parts. No Valve. 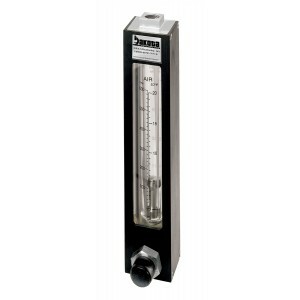 These rugged 150mm PTFE-Glass Flow Meters offer solutions to low to medium flow range measurements of highly corrosive or ultra-pure liquids and gases. Wetted inert components are surrounded by structurally rigid anodized aluminum. The resultant design represents a unique combination of a rugged mechanically rigid frame and chemically inert wetted parts. This rotameter comes with an MFV® High Precision Valve for high sensitivity control and resolution. 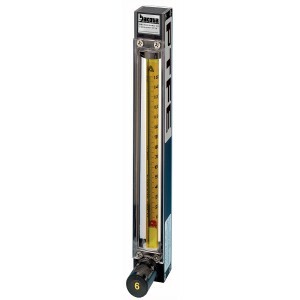 Incorporating traditional variable area precision glass technology, these rugged PTFE in-line flow meters offer accurate and economical solutions to medium flow range measurements. 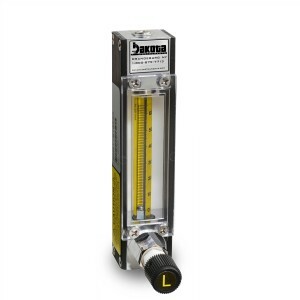 These meters are designed with unique rotatable scales of dual air-water direct reading graduations showing SCFM and SLPM (air), as well as GPM and LPM (water) markings. Valve option.